DEKALB COUNTY, Ill. -- A special prosecutor has been appointed to look into whether police and prosecutors in a small Illinois town engaged in misconduct to win a false conviction in one of the nation's coldest murder cases. An order signed by Robbin Stuckert, the chief judge in DeKalb County, Illinois, appoints the State's Attorneys Appellate Prosecutor to look into whether a Seattle police officer committed perjury when she testified during the 2012 murder trial of Jack Daniel McCullough. The office, based in the state capital, Springfield, includes a Special Prosecutions Unit staffed with about a dozen lawyers. An attorney with the unit, Brian Towne, filed court papers accepting the appointment on Friday, the court clerk's office confirmed. Detective Irene Lau testified in 2012 that McCullough spoke of the 7-year-old victim as if he were "deeply, deeply in love with her" as she prepped him for a polygraph examination. Lau said his voice grew soft and he seemed wistful as he recalled her as "stunningly beautiful" with big, brown eyes. He said she was "lovely, lovely, lovely," the detective testified. 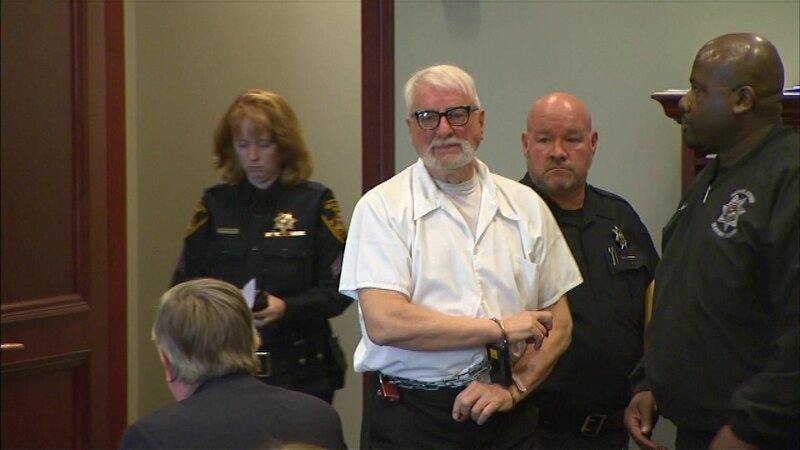 McCullough vehemently denied killing the child, but police and prosecutors viewed his demeanor during questioning as convincing evidence of his guilt. The appointment of the special prosecutor signals a new twist in this nearly 60-year legal saga: The McCullough investigation -- and the investigators -- have now come under investigation. The special prosecutor will be asked to determine whether Lau was truthful. Questions also have surfaced over whether police and prosecutors deliberately concealed a 78-minute videotape that contradicted her version of what McCullough said under questioning. Attempts to reach Lau through the Seattle police department were unsuccessful. Lau didn't seem to make any effort to conceal the video's existence, writing in the second paragraph of her June 29, 2011 report summarizing her questioning of McCullough: "I advised him that this was a government building and that our interview was being audio and video recorded." But a year later, Julie Trevarthen, a prosecutor in Sycamore, Illinois, appeared to deny to the court that there was a video of the June 29 interview, saying that McCullough "just happens to be in another room and a tape is not running." No video was included in the voluminous court file or turned over to the defense, as required by court and ethical rules, according to court documents seeking the special prosecutor's appointment. Trevarthen said in an email reply to CNN that she could not comment because of the pending litigation, "although I have a lot to say." McCullough was convicted in September 2012 of the 1957 abduction and murder of Maria Ridulph. At the time, his conviction was touted as closing the oldest cold case ever tried, a feat that was explored in CNN's multi-part series "Taken." The series raised questions about the fairness of the trial and conviction. Others had doubts as well. McCullough was released from prison nearly a year ago after a judge threw out the conviction. Judge William Brady agreed with a new prosecutor's conclusion that it would have been impossible for McCullough to have committed the crime, as he was 40 miles away at the time Maria was kidnapped by a stranger who called himself "Johnny." McCullough is asking Judge Brady to declare him innocent; a hearing has been set for April 6. Former State's Attorney Richard Schmack requested the special prosecutor before he left office in December. Schmack was defeated at the polls in November after he determined McCullough was innocent and took steps to reverse his conviction and set him free. The inquiry will focus on how evidence and witnesses were handled by the team assembled by Schmack's predecessor, Clay Campbell. The current state's attorney, Rick Amato, expects to remain on the sidelines. Campbell has not commented publicly on McCullough's release or the most recent developments in a case that has gone off the rails. He did not respond again to CNN's emails and phone calls requesting comment on the appointment of a special prosecutor. The special prosecutor's primary focus will be on whether Lau committed perjury. But the inquiry could expand into other misconduct allegations. In her report summarizing the interview, Lau wrote: "I asked him to describe Maria. At this point, McCullough's expression softened. He stated, 'She was stunningly beautiful, with big brown eyes. She was lovely, lovely, lovely. She was bi-racial, half Mexican, and her people were actors.'" She all but repeated herself on the witness stand a year later -- on September 10, 2012: "Well, when he described her to me, he described her as being very stunningly beautiful with big brown eyes and he stated that she was 'lovely, lovely, lovely.'" The video tells a different story about what was said during that interview. McCullough is never heard describing Maria as "lovely, lovely, lovely." About nine minutes into the video, he does describe her as "a loved little girl," mumbling a bit. He also calls her "an adorable little girl" with "great big brown eyes" and says she was loved by everybody in the neighborhood. He vehemently denies having anything to do with her abduction and murder: "I loved that little girl, like the whole neighborhood loved that little girl." The video had not yet been discovered and wasn't included among Schmack's findings when he pushed to overturn McCullough's conviction. His report in late March 2016 took to task Campbell, his assistants and the investigators with the Illinois State Police. Schmack found multiple instances in which they ignored, withheld or buried evidence that pointed to McCullough's innocence. Schmack spent six months reviewing the contents of the court file, which exceed 5,000 pages, and concluded that McCullough couldn't possibly have committed the crime. He would have had to have been in two places 40 miles apart at the same time, a physical impossibility, he noted. McCullough said he was in Rockford, Illinois, trying to enlist in the US Air Force when Maria disappeared. His alibi was reinforced by phone records verifying a two-minute collect call he said he made to his family's Sycamore home from a pay phone at the Rockford post office. The call was placed at 6:57 p.m., within a few minutes of the time authorities investigating the case in 1957 believed Maria was taken. Instead, Illinois State Police investigators, citing a single line out of context from a 1958 police report, pushed the time of the abduction back, saying she was kidnapped shortly after 6 p.m. But FBI reports from 1957, which showed Maria was last seen closer to 6:45 p.m., were barred from the trial as unreliable "hearsay." Schmack concluded that the prosecution of McCullough was characterized by an "almost systematic concealment of the truth" that resulted in the conviction of an innocent man. "When I began this lengthy review," Schmack wrote, "I had expected to find some reliable evidence that the right man had been convicted. No such evidence could be discovered." McCullough's son-in-law, Casey Porter, maintains a blog about the case and requested the perjury investigation. Porter obtained the video in response to a public records request to Seattle police, which helped take McCullough into custody and participated in his questioning. Porter informed Schmack and asked him to investigate. Schmack in turn requested the special prosecutor. Looking into suspected misconduct by past and current employees of his office would create a conflict of interest, he argued. "Any prosecution of Detective Lau would almost certainly involve inquiry into the handling of the entire investigation and prosecution of Jack D. McCullough, and such inquiry would clearly involve interviews with past, and perhaps, current employees of the DeKalb County State's Attorney's Office," Schmack wrote. Stuckert, the presiding judge, had requested assistance from several neighboring prosecutors' offices, as well as the state attorney general. All turned her down, citing limited resources, before the appellate prosecutor's elite Special Prosecutions Unit accepted the job. Ironically, other lawyers in the appellate prosecutor's office spend much of their time defending convictions.